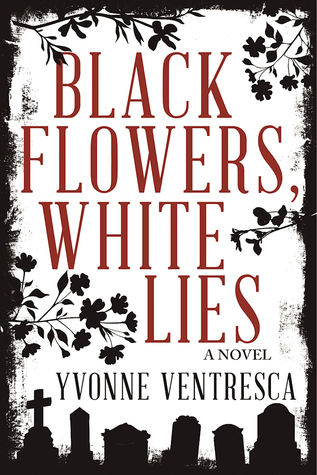 Black Flowers, White Lies by Yvonne Ventresca. Publication: October 4th 2016 by Sky Pony Press. Her father died before she was born, but Ella Benton knows they have a supernatural connection. Since her mother discourages these beliefs, Ella keeps her cemetery visits secret. But she may not be the only one with secrets. Ella’s mother might be lying about how Dad died sixteen years ago. Newfound evidence points to his death in a psychiatric hospital, not as a result of a tragic car accident as her mother always claimed. After a lifetime of just the two of them, Mom suddenly feels like a stranger. When a handprint much like the one Ella left on her father’s tombstone mysteriously appears on the bathroom mirror, at first she wonders if Dad is warning her of danger as he did once before. If it’s not a warning, could her new too-good-to-be-true boyfriend be responsible for the strange occurrences? Or maybe it’s the grieving building superintendent whose dead daughter strongly resembles Ella? As the unexplained events become more frequent and more sinister, Ella becomes terrified about who—or what—might harm her. Soon the evidence points to someone else entirely: Ella herself. What if, like her father, she’s suffering from a breakdown? In this second novel from award-winning author Yvonne Ventresca, Ella desperately needs to find answers, no matter how disturbing the truth might be. I take the stairs down. Once the stairwell door closes behind me, the basement seems darker than ever, as if the electricity is off. The light on my phone helps guide me to the laundry room. I flick the switch. Nothing happens. Not even the one good light turns on. Maybe Norma’s in the middle of fixing the lightbulbs. She could have turned off the circuit breaker or something. But when I open the dryer, the drum light turns on as I dump the clothes into the basket. The electricity is working after all. The light from the dryer illuminates the space and something catches my eye. I focus my phone on the wall to my left. “No.” I back up, banging into the open dryer door. One word is scrawled in red capital letters across the wall: DAUGHTER. A bloody handprint drips in the space underneath. I grab the basket. A cat T-shirt falls, but I don’t stop. I need to escape, fast. The elevator takes forever. The doors slide open. I expect demons, monsters, ghouls. It’s empty. I can’t speak on the elevator ride to the basement. He’s quiet. I figure he’s as frightened as I am. I turn my head and shine the light where the red scrawl was minutes before. “Why are we in the dark?” Blake asks, flipping the laundry room switch. The lights come on. The sudden brightness makes me blink as I stare at the blank wall. Prize pack includes a three panel rustic chalkboard with a $25 Amex gift card, a $25 Sephora gift card, and a signed copy of Black Flowers, White Lies! Yvonne Ventresca’s latest young adult novel, BLACK FLOWERS, WHITE LIES will be published by Sky Pony Press in October 2016. 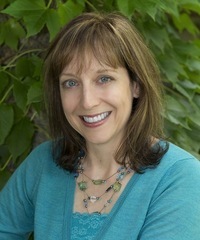 Her debut YA novel, PANDEMIC, won a 2015 Crystal Kite Award from the Society of Children’s Book Writers and Illustrators. In PANDEMIC, a teen struggles to survive not only a deadly outbreak and its real-life consequences, but also her own personal demons. Ventresca's other works include the short story “Escape to Orange Blossom,” which was selected for the dystopian anthology PREP FOR DOOM, along with two nonfiction books, PUBLISHING (Careers for the 21st Century) and AVRIL LAVIGNE (People in the News). Really enjoyed the review and love the cover. The Title of this book is GREAT! Looks like a really interesting story. I look forward to reading it.